Methods: A total of 18 patients with TA (eight males, and 10 females) and 18 healthy controls (HCs) who were matched for gender, age, and educational status were enrolled. Resting-state functional MRI was used to examine the participants. Spontaneous cerebral activity variations were investigated using the ALFF technique. The mean ALFF values of the TA patients and the HCs were classified using receiver operating characteristic (ROC) curves. 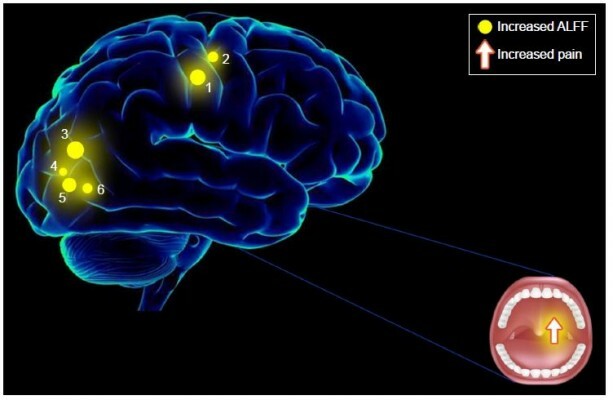 The correlations between ALFF signals of distinct regions of the cerebrum and the clinical manifestations of the TA patients were evaluated using Pearson’s correlation analysis.